Navrotsky, Borys [Навроцький, Борис; Navroc'kyj], b 8 May 1894 in Kyiv, d 10 February 1943. Literary scholar and literary theoretician. Using the methodology of Oleksander Potebnia’s literary school, he wrote the study Mova ta poeziia (Language and Poetry, 1925) and many articles on Taras Shevchenko’s poetics, prose, themes, and creative method; they appeared in journals, such as Zhyttia i revoliutsiia, Chervonyi shliakh, Hlobus, and Literaturnyi arkhiv, and in the annuals Shevchenko (1928, 1930). Seven articles made up the collection Shevchenkova tvorchist' (Shevchenko’s Creativity, 1931). Navrotsky also wrote a monograph on the sources, style, and composition of Shevchenko’s ‘Haidamaky’ (1928). He was critical of Western idealist and experimental esthetics. 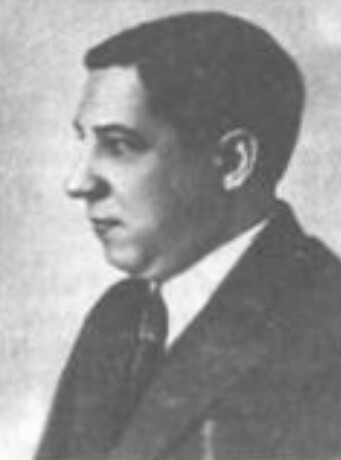 Navrotsky was arrested during the Yezhov terror, and died in a labor camp.